What a great year we've had together! You also helped make it a big year for climate. 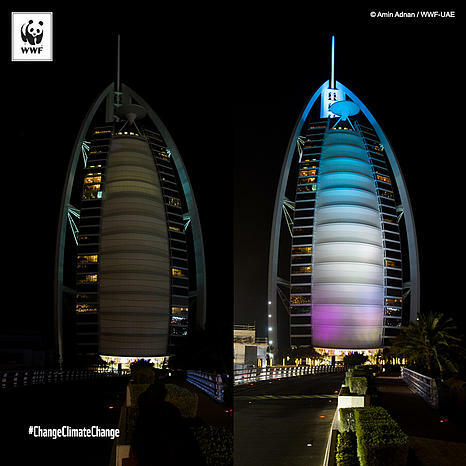 Once again you switched off for Earth Hour - shining a light on the importance of climate action. 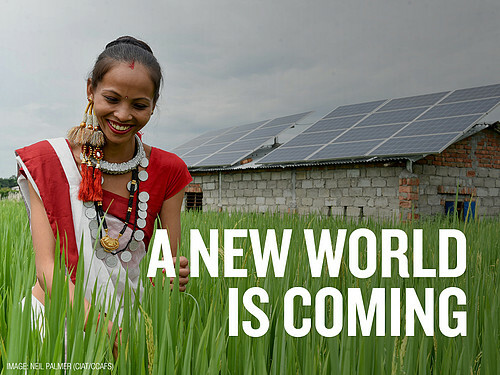 That hope became a reality in November when last year's Paris Agreement became "law of the planet." 2016 proves anything is possible when we work together. From all of us at WWF to all of you - our WWF family - we'd like to say a great, big thank you! It's official. The panda is on the road to recovery. 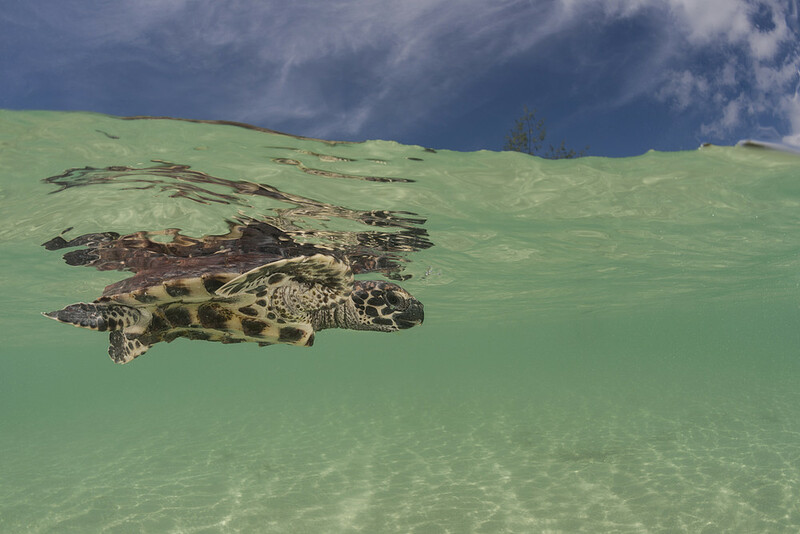 For fifty years, it has been the world's most beloved conservation icon and our symbol. And decades of dedicated effort are now paying off. 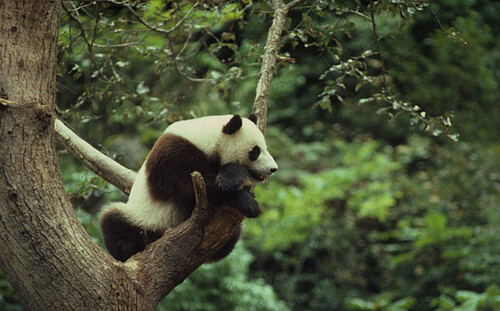 Back in the 1980s, there were as few as 1,114 pandas in China. But the most recent survey in 2014 estimated that there were 1,864 pandas living in the wild. After 30 years of slow but steady progress, the IUCN has now changed the panda's status on the Red List of Threatened Species. The decision is a recognition of the hard work of the Chinese government, local communities, nature reserve staff and WWF over many years. The panda's long term future is not yet secure. It has taken a huge effort to halt the decline in panda numbers. We've has been working with the government since 1981 to save the world's most famous bears and their unique habitat. With your support we've helped to establish an integrated network of giant panda reserves and wildlife corridors as well as working to minimise impacts on the forests. The number of panda reserves has jumped to 67 - protecting nearly two-thirds of all wild pandas as well as large swathes of mountainous bamboo forests. These reserves shelter countless other species and provide natural services to vast numbers of people. Looking toward the future, it is clear that only a broad approach will be able to secure the long term survival of China’s giant pandas and their unique habitat. It will require even greater government investment, stronger partnerships with local communities and a wider understanding of the importance for people of conserving wildlife and the landscapes in which they live. More than 140,000 of you emailed the Spanish president asking him to save Doñana and sent thousands of origami birdsto Spain in November where they were displayed outside the country’s parliament in Madrid. At the beginning of December, Doñana wetland received a reprieve when authorities committed not to allow dredging of a river essential to the World Heritage site’s health. In a report to UNESCO, the country stated that a plan to deepen the Guadalquivir River to allow larger commercial ships will not be authorized. Failure to cancel the dredging project could have triggered the inscription of Doñana National Park on the UNESCO List of World Heritage in Danger. 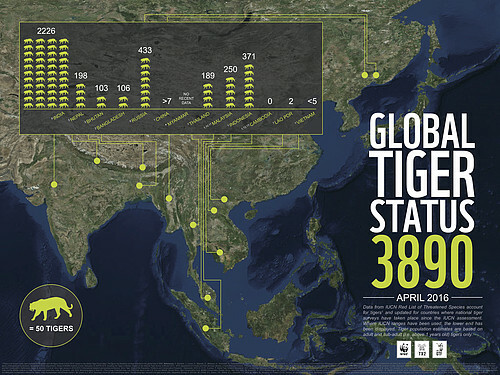 This April, the number of wild tigers was revised to 3,890. This amazing success has been attributed to multiple factors including increases in tiger populations in India, Russia, Nepal and Bhutan, improved surveys and enhanced protection. Our aim is to double tiger numbers by 2022 - the next year of the tiger. With your on-going support this target is within reach and we look forward to even greater successes over the coming years. 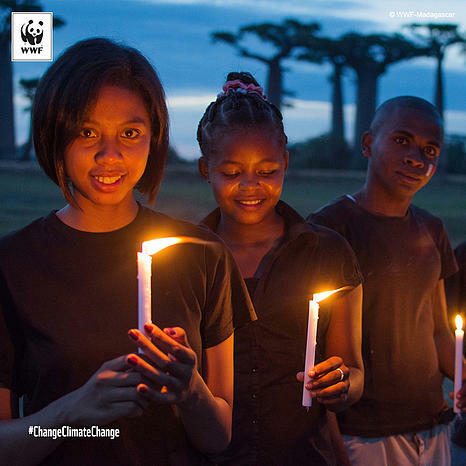 On Saturday March 19, WWF’s Earth Hour rolled across the world from Samoa to Santiago. 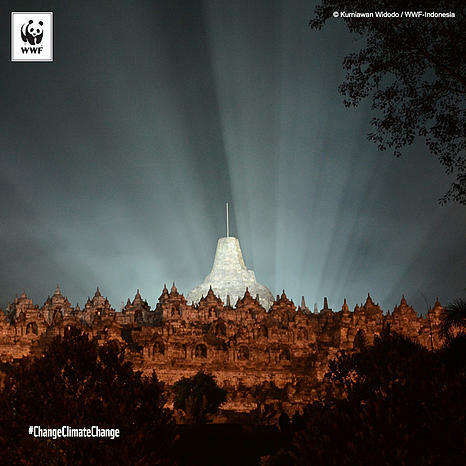 Millions of you came together to shine a light on the climate action our planet needs. This year's Earth Hour - the tenth edition of the movement’s signature lights out event - saw an unprecedented 178 countries and territories switch off in solidarity with global efforts to change climate change. Earth Hour 2016 was celebrated across seven continents, aboard the International Space Station and served as a strong visual reminder of the globe's determination to tackle our planet’s biggest environmental challenge yet. As more than 400 iconic landmarks dimmed their lights, a collective hope that our actions today can create promise for the planet and future generations shined through. While the Earth Hour movement has grown from a one-city event in Sydney in 2007 to the world’s largest grassroots movement for the environment, the need for climate action has also accelerated. 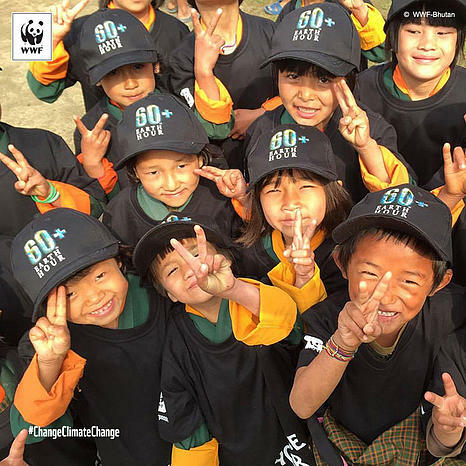 This year, WWF and Earth Hour teams used the Earth Hour movement to engage people in critical climate conversations and solutions. 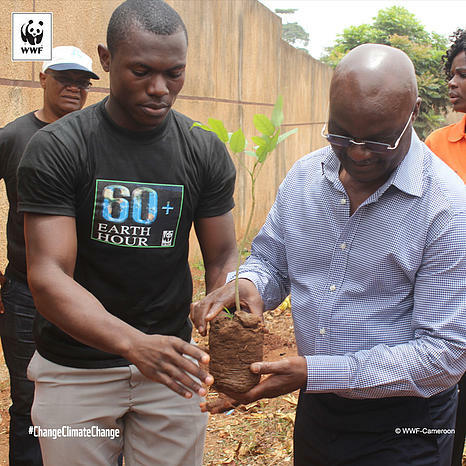 To date in 2016, WWF’s Earth Hour has been the force behind more than 1.23 million individual actions taken to help change climate change including participating in on-the-ground activities for reforestation and recycling, digital petitions for climate-friendly policy and online campaigns to promote climate awareness and action. Less than a year ago, 197 countries came together to deliver a universal climate agreement and, with it, a promise to work together to limit global temperature rise to avoid the worst impacts of climate change.